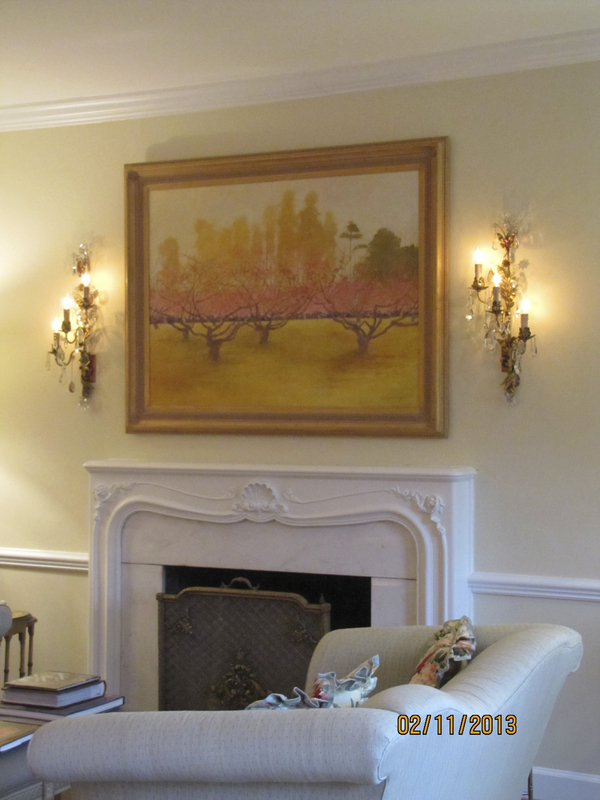 Nothing dresses up a wall like a beautiful painting flanked by a pair of sconces. 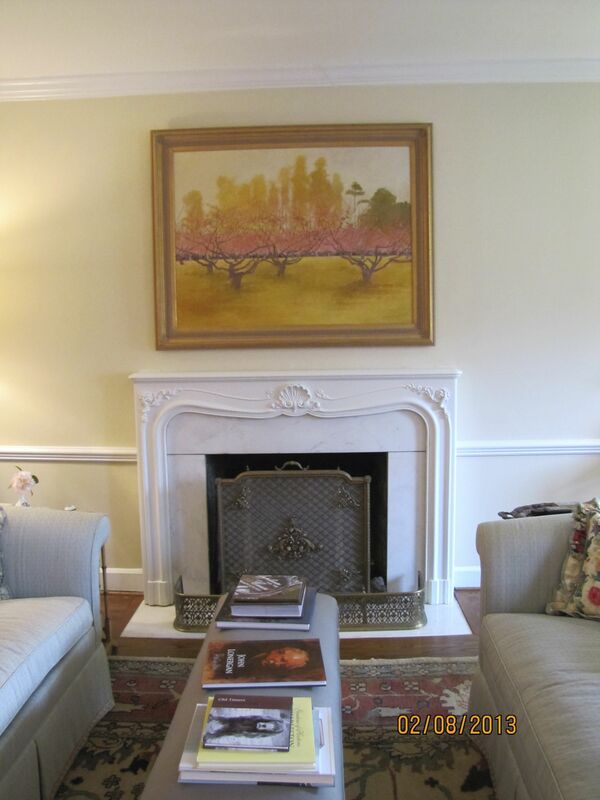 The branches of the sconce repeat the branches of the trees in the painting. 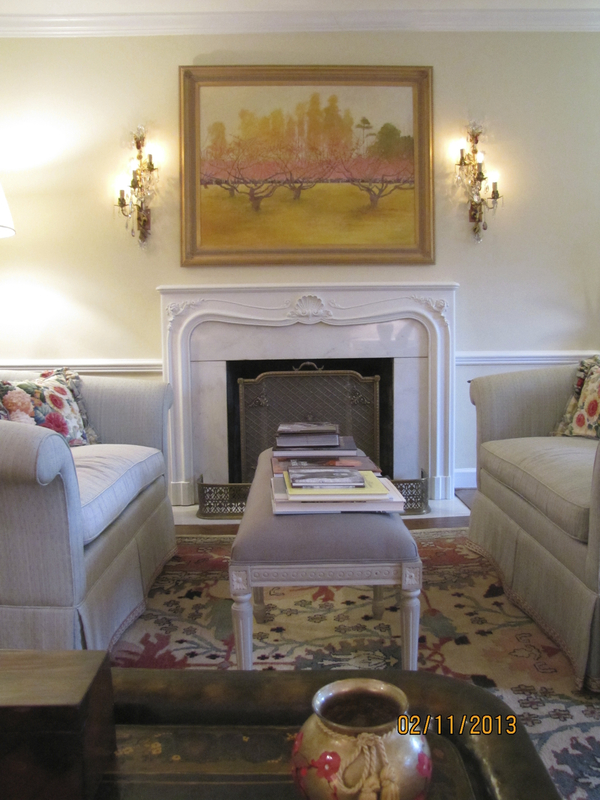 The pair of sconces frame the painting, and give the painting more importance. This lady’s electrician told her it couldn’t be done. My electrical man says he always likes a challenge. I have given him many, and he has always made it happen. This entry was posted on February 11, 2013 by Ellen at Color Calling. It was filed under Residential styling . Shame on the elctrician who said it couldn’t be done! There is ALWAYS a way. I love sconces. Not only do they provide importance to things that should be important, but they add light at or about face level. So much more flattering than overhead lights or table lamps. Not only that, but sconces offer such interesting shapes and textures. Oo, la, la! Charlotte, agree completely! Thanks for the nice comment!